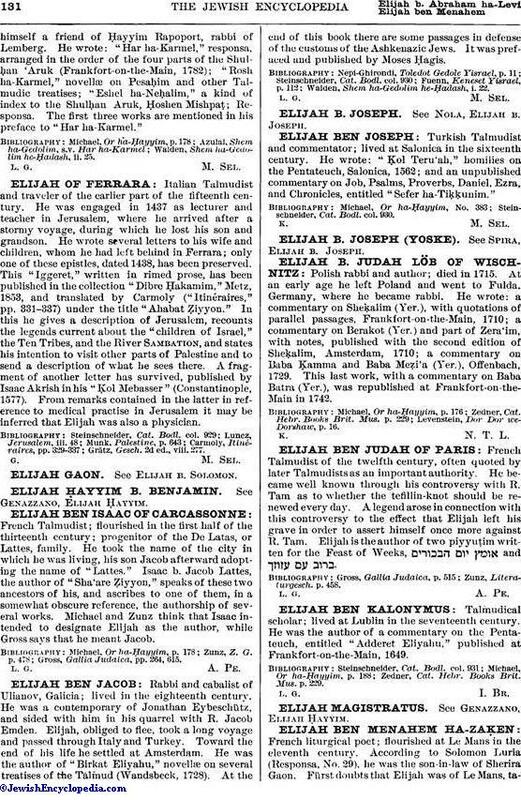 Turkish Talmudist and commentator; lived at Salonica in the sixteenth century. He wrote: "Ḳol Teru'ah," homilies on the Pentateuch, Salonica, 1562; and an unpublished commentary on Job, Psalms, Proverbs, Daniel, Ezra, and Chronicles, entitled "Sefer ha-Tiḳḳunim." Steinschneider, Cat. Bodl. col. 930.